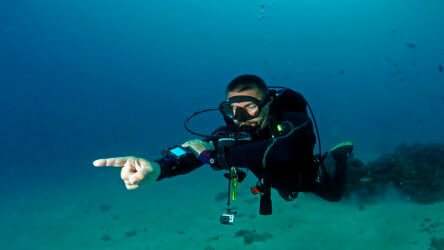 Choosing the perfect Phuket diving sites can be a little daunting so let us help! We have wrecks, reefs and walls that support a huge diversity of marine flora and fauna. You can dive in Phuket all year so use this guide to find the right one for you. The clear waters at the Racha Islands are perfect for divers who haven’t got wet for a while and will help beginners gain some confidence. 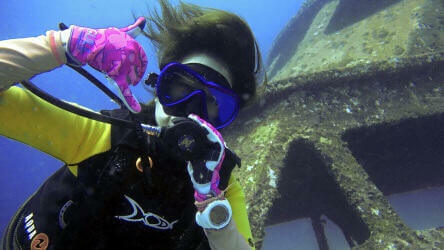 More experienced divers will enjoy the healthy coral at depth and some small but interesting wrecks. We do occasionally get magnificent manta rays at Racha Noi, will you be the lucky one? 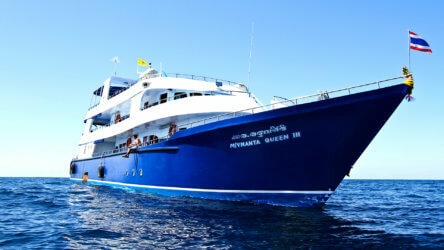 The Phi Phi Islands have some stunning dive sites that are generally very easy. 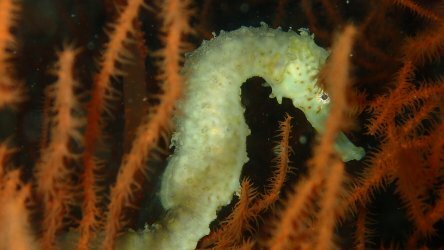 Marine life is prolific and corals are healthy. 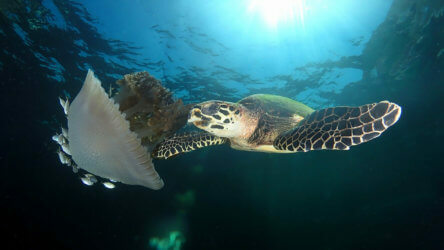 Turtles, black tip reef sharks and huge schools of snapper are all very common sightings. Above water the scenery is amazing so your surface interval is one to remember. The King Cruiser trip is a day for the more experienced divers and what a day it is! An amazing mix of reef, wreck and wall teeming with life. Not common by all means but this definitely the trip that gets the most whale shark sightings. Our wildlife does have a bad habit of moving around so nothing can be guaranteed. You can stack the odds in your favour by diving with us and our top notch guides. 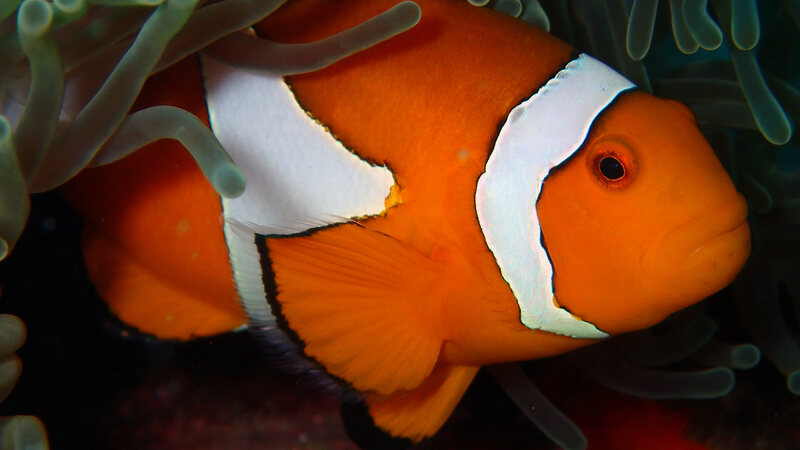 There’s nothing better than local knowledge so dive with Local Dive Thailand. Beat the rest, join with the best!